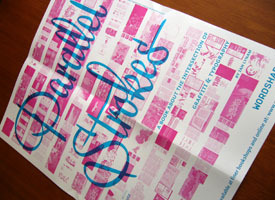 Ian Lynam, who I met at the meeting with Christian Schwartz last month, send me his book titled Parallel Strokes. I just said hello to him before leaving the meeting, so I emailed him and got an appointment to talk about topic on type design with him. 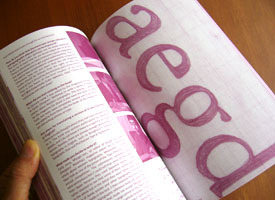 Ian interviewed with Akira Kobayashi of Linotype for PingMag a few years ago. I’m aware of who the interviewer is since I read that interview. I didn’t think he lives in Japan. 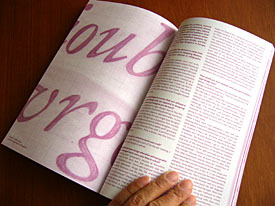 Ian compiled 19 interviews in Parallel Strokes, which includes various type designers and graffiti artists. 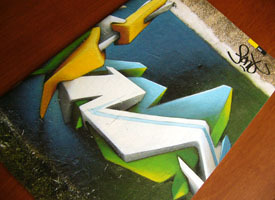 I enjoyed to know there were various background stories how they started type designs and typographic graffiti at first. Some part of the interview with Akira Kobayashi on PingMag seemed to be edited in order to fit the page, but a lot of photos and some sketches were added in Parallel Strokes. Interviews with Underware and DIAM were also included in it. DIAM is one of my favorite artists since I read the interview article that Ian did for the FontShop magazine a few years ago. (Left above) Parallel Strokes Poster (Lower right) The DIAM’s photos in Parallel Strokes reminded me of The FontShop catalogue Issue 005. 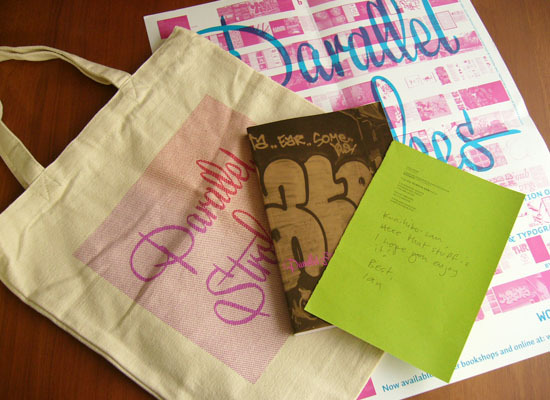 Ian is not only a graphic dsigner but also a type designer. He digitized Cooper Black Italic Swash. And he also have his label WordShape.